Only until November 1, 2008 you can book your 2009 course paying 2008 prices. Yes, that's right! Book your 2009 Spanish language course by November 1st and we'll reserve your first choice of accommodation... and course... and destination, while we only charge you 2008 prices! This offer is available for don Quijote destinations in Spain only, including Pamplona and Cadiz! 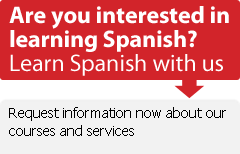 Best of all, you can apply it to every don Quijote Spanish course you sign up for to study in Spain. - Offer can't be combined with other offers. - Offer available upon request and subject to availability. NOTE: This offer ends on November 1, 2008! Become a don Quijote member if you would like to receive our special offers! Sign up now!